Welcome to McLaren North Jersey's financing and automotive loan site. 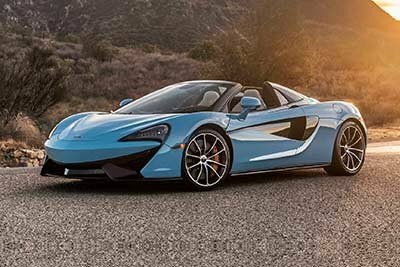 While we might be known for an outstanding selection of new and used McLaren automobiles, Ramsey also understands that McLaren North Jersey is the leading voice when it comes to helping you get behind the wheel of one of these great cars. Want to dig deeper into how we can help you get your hands on the credit you need to make your car buying dreams come true? Then set aside a few minutes of your day to meet with the finance team here at McLaren North Jersey as a way to garner a deeper understanding of how we handle everything from bad credit applications to new car repayment plans. After breaking things down for you, we have no doubts you will be ready to set the wheels in motion of driving home in the McLaren vehicle that piques your interest. For just a second, we want to take a moment and cover exactly why working with McLaren North Jersey is the strongest choice you can make when financing a new McLaren car in Ramsey. The overarching theme here is that while other dealerships and third-party financial outlets might claim to be capable of taking care of all of your auto loan needs, only our team of financial experts are able to come through with these bold claims. Lasting Connections with the Best Lenders – Forging connections with the best lenders across the nation means you will be able to choose from a multitude of alternatives as you find the right loan. Desire to Fight for the Most Useful Deal for You – At times, getting the best deal possible on your auto loan requires a forward-thinking stance on the process of working out this kind of contract. That being said, our team is ready to fight for you and bring to you a contract that gives you the tools for success. Years of Experience and Success – By laying claim to a hefty amount of automotive industry experience on our side, you can rest easy knowing the entirety of our team of new car loan experts has the ability to successfully guide you through this sometimes uncertain and complex event. By now, there is no disputing that McLaren North Jersey is the name to trust when it comes to getting you paired up with the righ car for you, and the best financing agreement to go with it. Can I Get Financed with No Upfront Payments? For those out there who want to get financed without paying any money upfront, you will be impressed to learn the McLaren North Jersey loan team can make this desire come true. Additionally, if you are appropriately qualified for this type of financing, you can also opt to make no payments for 30 to 60 days via this no-money-down approach to standard loan contracts. Of course, getting into this kind of agreement and paying nothing out of pocket for your new McLaren vehicle requires some extra information for us. If you are interested in what it takes to explore your no-money-down options, go ahead and reach out to our staff of trustworthy car loan professionals now at 201.639.7750. Facing down low credit as a car buyer in Ramsey is clearly a situation that can reduce your enjoyment of the car buying process. Fortunately, by taking your business to McLaren North Jersey, you can leave behind problems that come with bad credit and get back on track in your perfect car, truck, or sport utility vehicle (SUV) now. Yes, bad credit is a serious concern at times. However, while other dealerships merely look at this number and base their decision exclusively upon it, we choose to look over every little nugget of data regarding your personal situation. In doing this, we have set a standard of commitment and empathy for customers with bad credit that is unparalleled in Ramsey – and supported countless shoppers as they work through this hard situation and locate the best vehicle for their unique daily drive. Going a step further, each potential buyer has unique considerations and comes from his or her own particular situation, so it is always a good idea to talk to the auto financing department here at McLaren North Jersey by calling 201.639.7750 first before you adjust your busy daily agenda and work in a meet-up. If you have come this far, you are clearly ready to start working through your options on financing a new or pre-owned McLaren from McLaren North Jersey. Because of this reality, we would like to ask that you take a moment and fill out our straightforward and safe credit loan application by pressing the button below. Once we get our hands on this insight into your situation, our industry-leading credit and loan department will go ahead and begin gathering information regarding all of the auto finance deals available to you. From here, we will reach out and break down how best to make the most of these exemplary pricing deals. We appreciate you stopping by McLaren North Jersey, and we cannot wait to pair you up with the best auto loan opportunities in Ramsey – and its connected areas – soon!